A potential major winter storm is in store for parts of the South late this week. Heavy snowfall, wind, and ice are all looking likely. 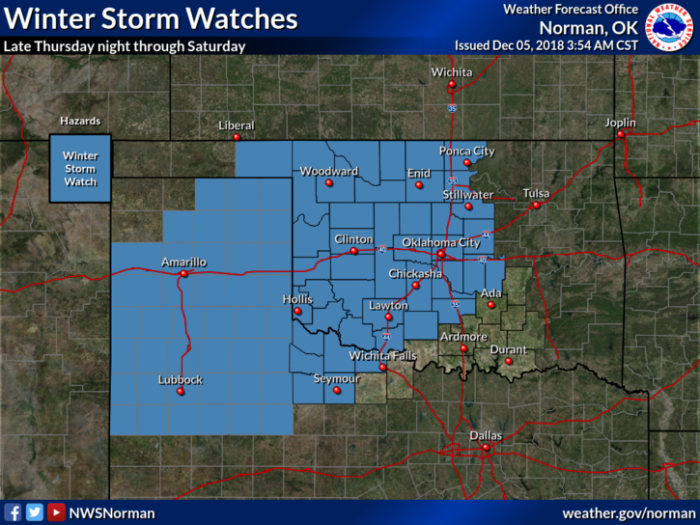 The storm system is still off the Pacific Coast of the U.S., but already confidence is high enough for Winter Storm Watches in parts of the Texas panhandle and western and central Oklahoma. This includes Lubbock and Amarillo in Texas and the greater Oklahoma City area. The storm will begin to impact areas in Texas and Oklahoma late Thursday with the brunt of the precipitation falling Friday and Saturday. 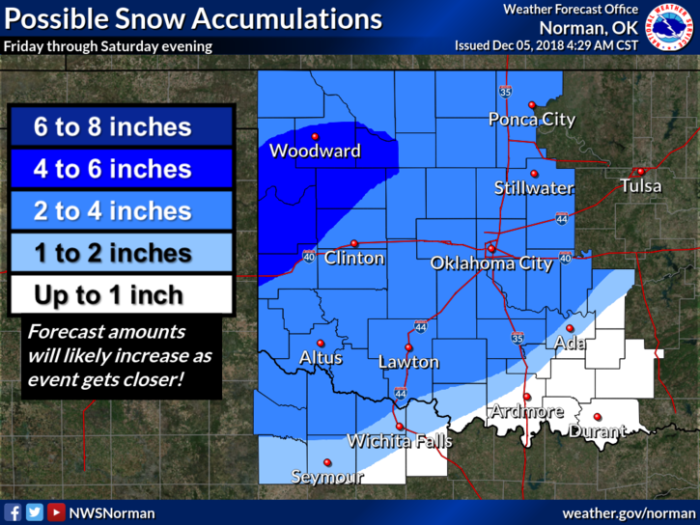 A swath of snow accumulations over 6″ is looking likely right now in parts of the Texas panhandle and western Oklahoma. While high snow totals are a concern, icing looks to also be a problem. 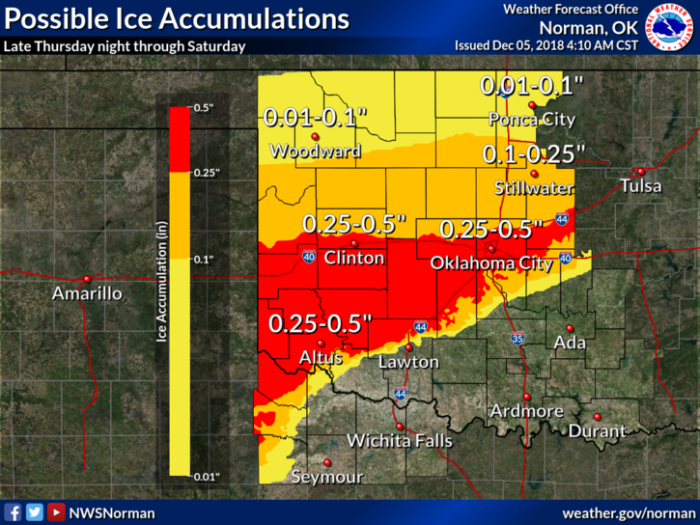 As of now, the greatest risk for freezing rain and ice accumulations stretches from just south of Amarillo, TX eastward toward Altus and Clinton, OK and into parts of the Oklahoma City area. These spots could see near a half inch of ice accumulation. Icing on Friday and Friday evening will create dangerously slick roadways. 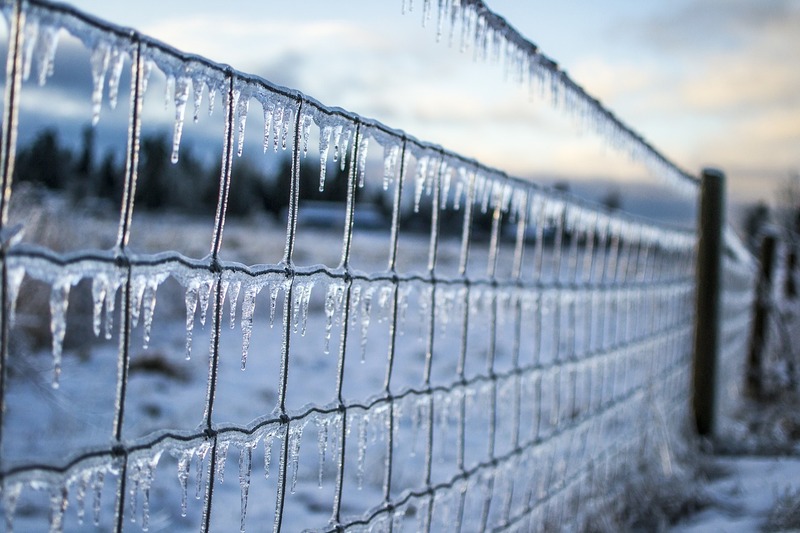 Some power outages are also possible in areas that do see the highest ice accumulations.